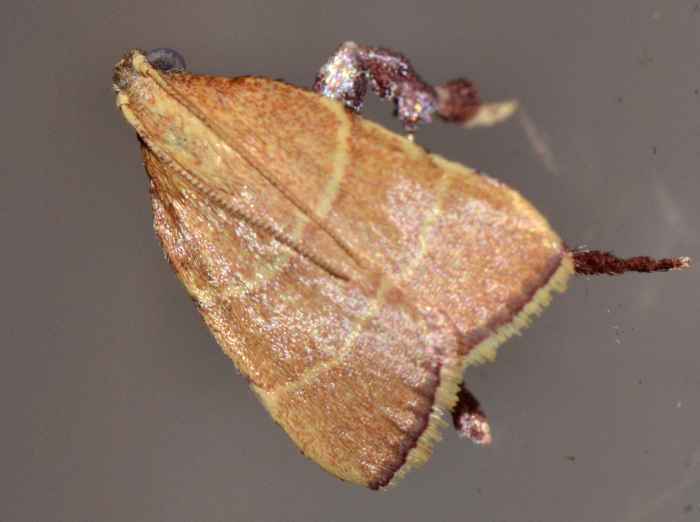 Parachma ochracealis -Hodges#5538 (Parachma Moth). Size: approx. 7 mm. Photo: 09/04/11, 10 pm. Parachma Moths (Parachma ochracealis) are mainly found in the Southeastern states and the Southwest where specimens tend to be paler. This species has been formerly referred to as Parachma tarachodes. It does have striking and long front legs (difficult to discern in this photo) which give it a 45 degree ("sitting dog") posture.